Stuff, Things, etc. : Friday Favorites. I would like to get back to posting favorite things on Fridays. I think that I want them to be more intentional though. 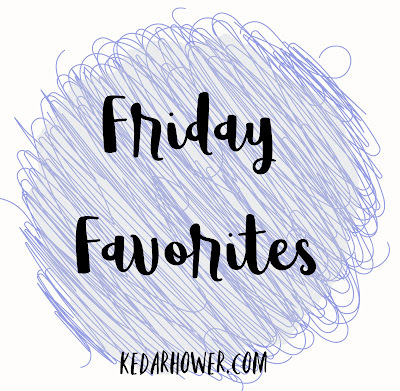 Not just flippant or random funnies I have to look for in order to get a post up on Friday mornings or recommendations that are just affiliate links (for the sake of posting an affiliate link) or a recap of what I've already posted for the week. So there might not be a post like this every week. I think "intentional" is my new motto when it comes to blogging. I have more I want to say that I just don't. I used to, but I just don't anymore and I think I need to. We'll see where it goes. 1. We found renters for our Laramie house. This is an answered prayer in a lot of ways, so I'm hoping it works out well for us and for them. 2. 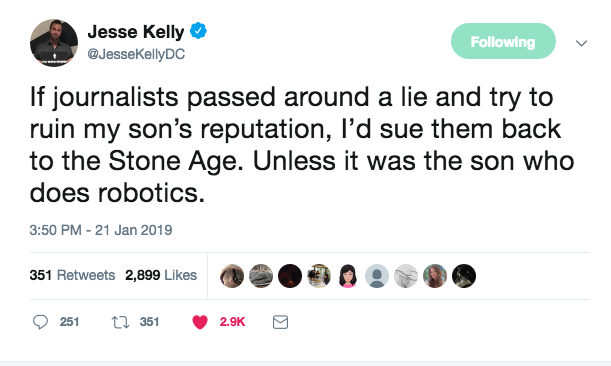 The Jesse Kelly robotics tweets were everything. Basically, he said he hated his son's robotics tournament and wished he played football instead and people lit him up. CLEARLY IT WAS NOTHING BUT SARCASM. (Even I replied saying I understood because I was familiar with LEGO robotics and tagged my former coworker because she was the coach, and someone hate-tweeted back at me...eyeroll). I couldn't stop laughing and I loved the fact that he retweeted every hater comment that came his way. He's hilarious in general on Twitter, if you want someone funny to follow. 3. I got a new stroller. I can't speak to its ease or effectiveness yet because it's still in the box, but I'll report back. Out of all the people I know or the bloggers who have mentioned strollers, I only saw one person who didn't like it. In addition, most people seemed to recommend $600 strollers and I wanted to LOL at that. No. The only way we'd have a $600 stroller is if we had another baby in the next three years and I needed a double stroller. 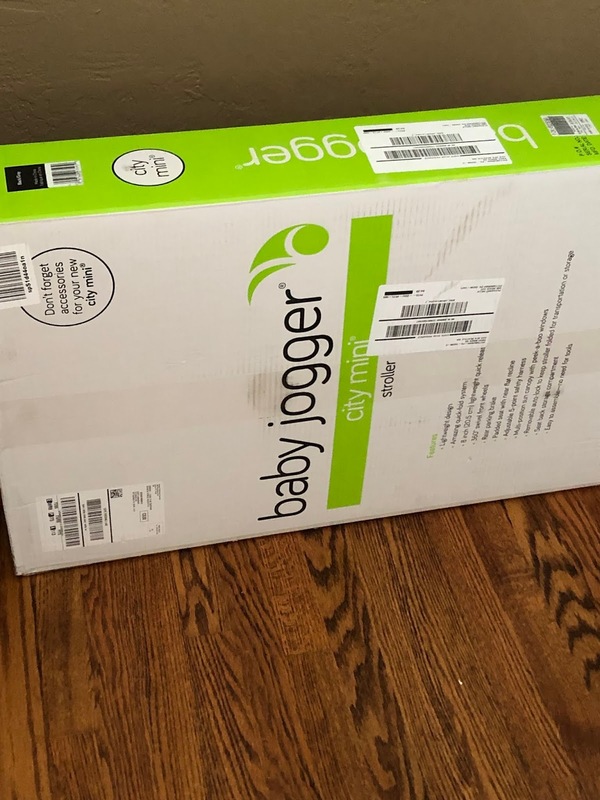 I contemplated briefly about getting a jogging stroller and then thought that would be my fictional future self who would use a jogging stroller. This seemed like the best option for what we'd used it for: shopping, neighborhood walks, parks, etc. As much as I would like to be that person who runs with her baby, alas, I am not. Previously, we had the stroller that went with the carseat as a travel system and I broke the wheel so it was, not useless but, not something I wanted to use for longer than I had to. 4. Scott bought me a subscription to The Daily Wire. This is a favorite of favorites. I'll have to post more when my tumbler arrives. 5. Everyone says Wells looks like Scott, and I agree that he is his carbon copy. In Target the other day, more than one person told me Wells looked like me (it's amazing how many strangers you talk to when you have a baby learning how to sit up in a shopping cart). I'll take it. when i was pregnant, ppl were telling me to get the bugagoo (i guess back then, it was "the" stroller) but for $1000? um i'm having a regular baby, not the king of canada. Yay on renters. Just a suggestion, as you may already have it covered...have someone out there who can handle the wear and tears and toilet mishaps of the renters if you're not there. But yay! Awww... Wells is a total cutie either way! He is such a cutie! Chubby cheeks! We actually have the exact same stroller, but I can't say I put a whole lot of thought into it, it's on loan from friends who's youngest is 5. That's about how much strategy has gone into most of Cyrus's stuff...we know a lot of older families here, we're the young "whippersnappers" out of the staff at Angel's school so they've either given or loaned us stuff that they've been holding onto "in case" of another baby. I really, really appreciate this system. I’d have to see Wells next to a photo of Scott, but I’ve alwahs thought he looks like you too! It wasn’t until Imogen was like a year old that people quit saying she was Isaiah’s twin. I’ve still only had one or two people say she looks anything like me, haha. The Clark genes are strong, apparently. Yay for finding a renter! I know how much a relief that has to be.